Let it Show! is a celebratory exhibition START hosts at the end of every fall semester. 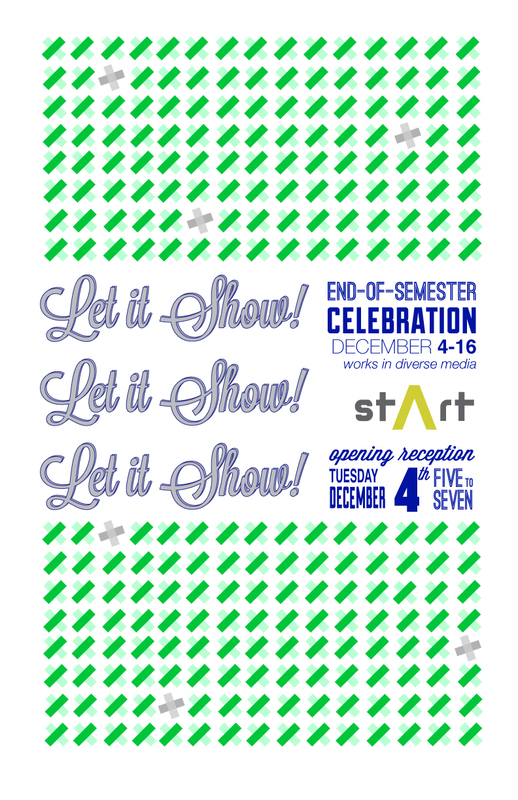 The show features student works from class assignments to personal projects in a variety of media. Gallery visitors at the opening reception can enjoy hot apple cider and vote for their favorite works. The artists who created the three “crowd favorites” will receive a prize.